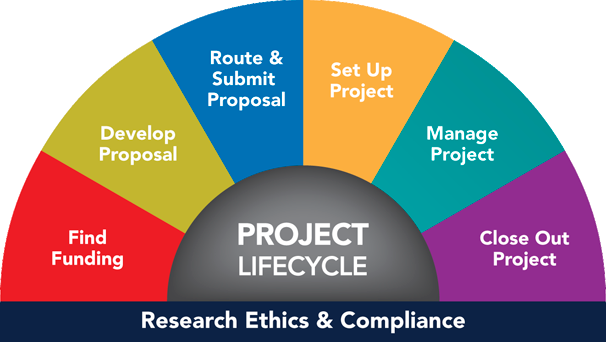 The Office of Research and Sponsored Projects enables and safeguards the conduct of research and other sponsored activity for the University of Michigan. We apply specialized regulatory, statutory and organizational knowledge in a timely and professional manner in order to balance the university's mission, the sponsor's objectives, and the investigator's intellectual pursuits. A mutual understanding of what each party can reasonably expect is central to a successful partnership. ORSP offers these response time goals in the hopes of estimating how quickly ORSP staff are likely able to respond to an inquiry or request to review a document. Curious about what ORSP reviews before submission? Take a look at our PAF and Proposal Checklist to see what we check. Learn even more in the Route and Submit Proposal section. The Facilities and Administrative (F&A) rate, also known as the Indirect Cost or IDC rate is now 56% for on-campus research. This rate is approved for July 1, 2018 through June 30, 2020. The University of Michigan (U-M) implemented new federal Uniform Guidance (UG) regulations for procurement on July 1, 2018. NSF revised its suite of Award Terms and Conditions. Learn about the important changes. Effective January 25, 2018, the National Institutes of Health (NIH) is introducing a number of significant changes intended to “enhance the accountability and transparency of clinical research.” (1) FORMS-E Application Package and New PHS Human Subjects and Clinical Trial Information Form (2) A broader definition of clinical trials (3) Single Institutional Review Board (sIRB). The RA Toolkit contains quick links to information and materials you may need to help you be responsive in the complex, fast-paced, and ever-changing world of research administration. ORSP project representatives are organized in teams that provide assistance for government or private sponsors. The Research Administration Advisory Council (RAAC) coordinates the efforts of ORSP, Sponsored Programs, and the research community.